Lines, proportion and pattern – that’s her gift. 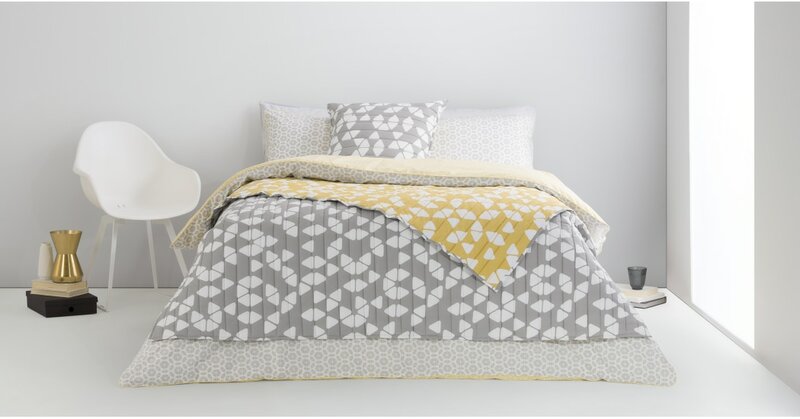 Designed by Genevieve Bennett, this bedspread adds gorgeous intrigue to your sanctuary and is a cosy addition. Genevieve has a lot of love for Islamic tiles. Combined with her use of colour and shape, Trio becomes light and refreshing. Perfect for smaller bedrooms looking for a lift. It’s all about having options. With this bedspread you’ve got grey on one side and blue slate on the other – flip as you like. The quilted stitching adds texture for an extra touch of luxury. 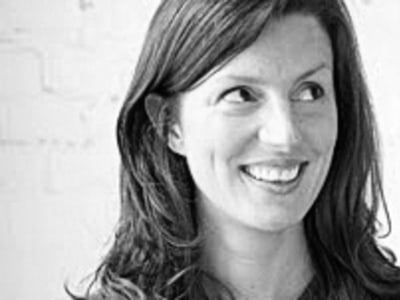 Genevieve’s designs have been described as ‘elegant and contemporary’ by ELLE Decoration, House & Garden and The Telegraph. She’s a bit of a whiz when it comes to patterned textiles, as you’ll see from some of her pieces.